Spiritual center balancing can be a tricky task to master, but it is certainly not impossible. Like a movie with a good soundtrack and score, having a musical backdrop can help increase the harmony within yourself. 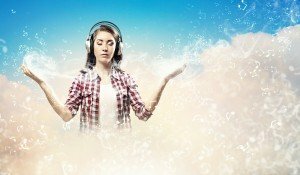 If you want to use music as a background to meditate or if you listen to your favorite CD at home to give your mind something to focus on, you are already helping your spiritual center with the aid of music. Listening to calming music while meditating is a great way to help you loosen up and get in the mood to meditate. You can play anything from classical sonatas to contemporary choices. Just be sure you choose something that will relax you and not something to stimulate your mind. If your purpose in listening to music is to help you relax while meditating, it might not be the best choice to play hard rock or heavy metal. The music you play can help you become more in touch with your spiritual center with each meditation session. Many people already play music while exercising, and that is another great idea. Play something intense or upbeat to help you stay strong and powerful through your cardio workout. During warm up and cool down stretches, you could play something along these same lines or perhaps a bit mellower. If you want to incorporate a musical background into your yoga sessions, there is a wide array of options. It depends on how you want yoga to affect your spiritual center. 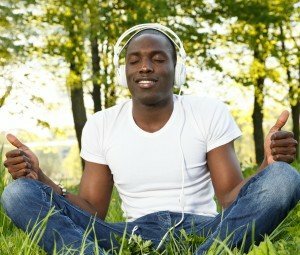 You can go from a calming, meditation-like session with soft music to a more intense, rigorous session with a harder choice of song. Either method of adding music to yoga practices will encourage the spiritual center. It just depends on what you need for yourself that day and what you choose to focus upon. Feel free to switch up the types of music you play while practicing yoga for a variety of experiences. Even if you play music just to avoid the silence, you can add to your spiritual center. From meditative classical music to the songs you want to dance to, setting aside time regularly to listen to music is going to bring a different energy into your life. Provided you only listen to music you genuinely enjoy, this energy should be positive. Keeping up the routine will keep the influx of positive energy high. Incorporate all your favorite songs into various aspects of your life and feel the growth and balance in your spiritual center.